We are just back from our last-minute week away and very enjoyable it was too! 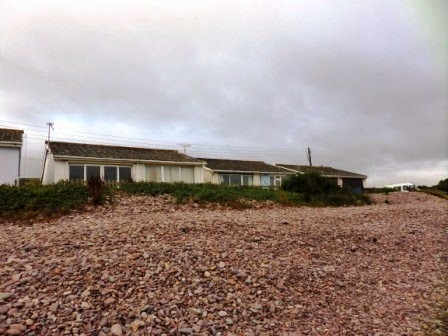 We stayed in a really comfortable chalet right next to the beach at Blue Anchor in Somerset - about five steps and you are on the pebbles - and just a few more to reach the sand and sea. Bliss. I miss it already and now feel cheated that the views out of my living room, kitchen and bedroom don't include the sea! Sitting in the tiny back garden, with views like this you wouldn't need to go anywhere! 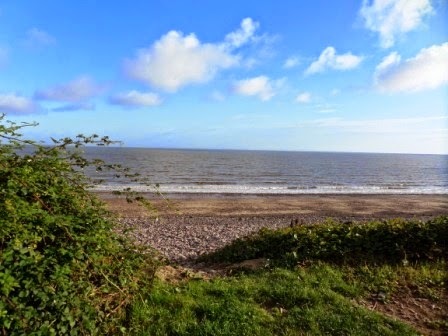 But if you want to, the walks along the beach can take you to some fabulous places! Quentin adores the beach, and not just because the opportunities for a little stolen snack of crunchy crab's claws, manky dead fish or even a side salad of seaweed are far too abundant! The space is wonderful for a puppy (or any dog) and he found it all really exciting. 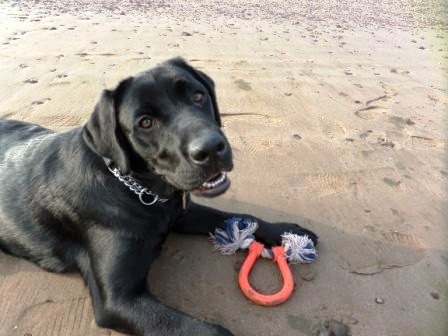 He lost his rubber ring in the sea on the first day, so we had to replace it with the horseshoe toy above - he's not allowed to run after sticks or balls (both of which can be too distracting for a working guide dog if they associate them with playing) so the rubber ring is really important! Playtime is obviously important for puppies, but for guide dog puppies, practising that recall is super important - being on the beach makes it more difficult for him (and therefore very good practice!). 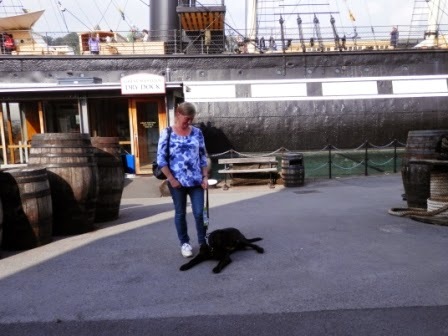 On the way home yesterday we stopped off in Bristol to see the SS Great Britain. Quentin behaved impeccably for most of the tour, especially considering he experienced lots of unusual sounds and light effects in the museum area and there were lots of steps to navigate, all very busy with other people. I've come back to a lot of orders for hand painted plaques and clocks, so the paintbrushes (and me!) are now working overtime! 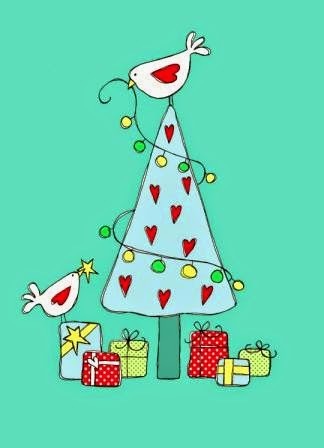 I've also been asked by the art licensing agency for some Christmas designs, although I think the images may be aimed at Christmas 2015 rather than this year! Aww it must be soooo lovely to stay right on the beach like that, i'm glad you had such a lovely trip. It sounds like a great break and a wonderful new opportunity for training Quentin too. 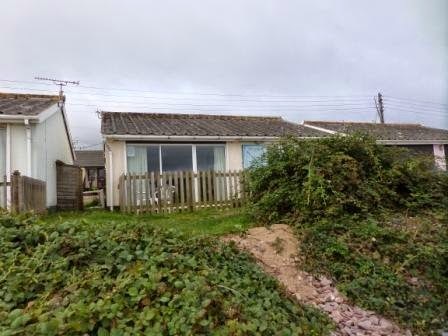 What a great place to have a holiday in. Quentin will need to have as many different experiences as poss for when he goes into his new life. 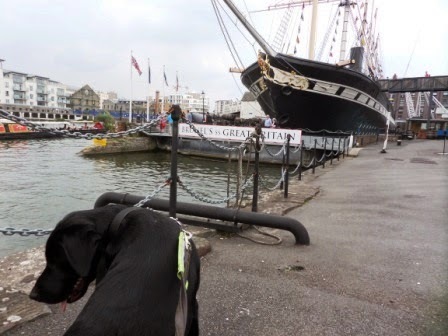 He can now cross the 'poop' deck of his bucket list! !